Note 1: The Video Assistant Referee intervened for the two Mariners red cards. In both examples, the Referee awarded a yellow card, only to review on the sideline & change from a yellow to a straight red. Note 2: This was Josep Gombau's first win as a Wanderers coach. Note 3: Alvaro Cejudo scored his first A-League goal for the Wanderers in this match. Where improving, Gombau said. Mariners 2 nil. Anyone want to play team line-up roulette. Surely Gombau has to go back to as "full strength" as he can. Vedran, Llorente, Thwaite, Cornthwaite, Risdon, Baccus, Herd, Roly, Cejudo, Bridge/Jumpei & Santa. I'm expecting another youth heavy lineup and everybody to lose their ****. Lmao. Mariners this season aren't the Mariners of old, a win away in Gosford right now would be a miracle. Come on boys lets start turning these losses into draws ! It was the luck of the draw...! We need a formation with no whatever number Jumpei has. I'm expecting another youth heavy lineup and everybody to lose their ****. Hopefully common sense prevails and Josef steadies the ship a little by reverting to a team that was atleast competetive. small steps Josep please. A similar team to the above had us undefeated after 6 rounds including draw the CCM and Newcastle who have performed well so far all before them. Our failure was our second half in these 6 games and time I believe would have fixed that. 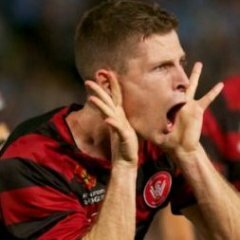 We drew with Smurfs we drew with Melbourne City we drew with CCM we drew with Newcastle we drew with Melbourne Victory we led in most bar 1 I think being CCM. So think about, we continue to improve in fitness and team cohesion and we go from there , still could have been a good season !!!! Can it still be a good season ?? We have a game in hand. 6th place is on 10 points win the game in hand and we are in 6th. All of this in Josef Gombeau's hands , lets hope he is as good as he is supposed to be. I think if we see a number of senior players on the bench again or not included it’s a pretty clear indicator they’re gone in January. After last weeks result it’s become the most important game of the season. This one will show us what our team (and supporter) is made of. Isnt the January transfer window about contracted players agreeing to go , if they dont agree to go we cant make them go hence thay are still part of the salary cap. Riera, Herd and Bridge all promoted. At least we won't be cooking in the afternoon Gosford sun albeit on field The Mariners will scorch us. That bloody hill won't be any gentler though..! Will be interesting to see how many rock up. Maybe the sea bogans will turn up as they see this as the first real chance they have had in beating us in quite some time. We were lucky to draw against you guys in our first encounter at SOP. I'm hoping the shame of the defeat we suffered against ESFC will inspire us to a better performance. I'm tipping us 1-0. After last weeks performance, my son's U7's would be in with a decent chance of beating us. And they only play 4 a side! CCMs pacey wingers will have a ball (pardon the pub) getting behind our slow and high-up-the-pitch standing CBs. After appearing clueless during the derby, this will test Gombau's coaching abilities. If all he has got in his tool kit is a Barca style Plan A then we are stuffed. At the moment we aren't Barca anything. If we play like we did last week we'd be beaten by Barca U12s. I wonder if the ' player of the month' will be selected for this game.